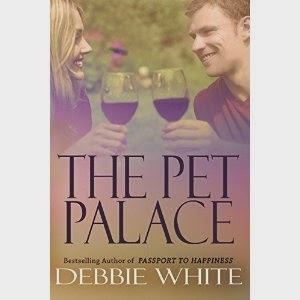 Debbie White's "The Pet Palace" is a romance novel that follows a young woman on her journey to fulfill her dream of opening an animal shelter, finding love along the way. Protagonist Vanessa has been a huge fan of animals since a young age, so it only seemed natural to open a pet rescue center. When she contacts the dreamy Jason to be her realtor (because of her friend's advice), she finds in him a fun, wonderful person that she can't get enough of. The catch? He's hesitant to get into a relationship due to things in his past. White writes a story that is fun, light-spirited and very engaging. I enjoyed learning about Vanessa's journey, in building her rescue center and in love. The romance is paced well with lots of good chemistry. I'd recommend this book to anyone who enjoys romance novels, especially if you're also an animal lover!